I have a question for readers of my blog. 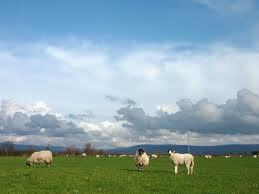 So what is it about my ‘Sheep Cinquain’ that attracts so many views? I entered the word ‘sheep’ into Google search engine and my post doesn’t appear on the first page so it can’t be that. 2. Is it because it’s a Cinquain? Well, again I typed ‘Cinquain’ into the search bar and it didn’t appear on that first page either. 3. What about Cinquain Sheep? I tried putting the two words together and ‘Hey presto’ my blog appears on the first page. It’s not the first one there though so I’m still not convinced. 4. Finally, could it be just because it’s my blog? Well I’d like to say it is but if it was my blog that interested the reader, then why would you read just my ‘Sheep Cinquain’? After all I have published 63 posts now and surely you would read others too. I don’t have the answers which is why I’m asking you. Yes, I am talking to you. Please humour me by leaving a comment if you’re one of those readers who has viewed my ‘Sheep Cinquain.’ Don’t worry, you can remain anonymous should you feel embarrassed about liking sheep/cinquains as much as I do.